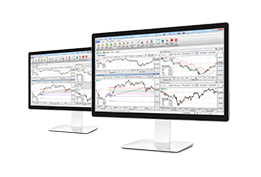 Register for a 20-day SaxoTrader demo. As an introducing broker of Saxo Capital Markets, Gleneagle Securities provides access to trading platforms – the web-based SaxoTraderGO, the downloadable SaxoTrader and the SaxoTrader for iPhone & Android app. The multi-award winning SaxoTrader is a comprehensive, downloadable trading platform, covering all asset classes. Saxo Capital Markets now offers the superior performance of the SaxoTrader in the palm of your hand.